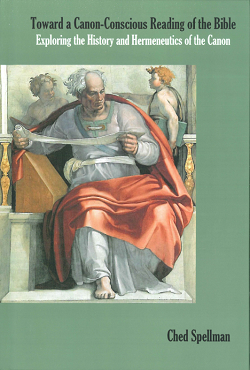 The new issue of Themelios is out, and it contains my review of Alan Jacobs' recent book The Pleasures of Reading in an Age of Distraction, which is possibly a "must read" (for why I put "must read" in scare quotes, well, you'll have to read it, or at least my review!). The literary landscape is strewn with signposts decrying the decay of print publication and robust readership. Can readers continue to flourish in the strange new world of new media? With this volume, Alan Jacobs enters the fray by examining the effect of this cultural climate on the task of reading. As a professor of English at Wheaton College, Jacobs is a vocational reader who has reflected on these issues carefully. With no traditional chapters, the book takes the form of an extended essay where each section or heading begins a new topic or idea. With this meandering format, each step further into the book develops an element of Jacobs's overall perspective on the task of reading. Jacobs's prose surely ambles but never seems to ramble. Along the way, he entertains a delightful assortment of variegated asides, including discussion of the cognitive processes involved in the task of reading, the stunning plasticity of the brain, the lurid myth of multitasking, the odious art of marking up library books, the joy of "getting lost" in a good story, Machiavelli's reading habits, and Harold Bloom's disdain for the Harry Potter series. Though most readers will recognize that there are certainly other modes of reading that must be pursued at times (e.g., digesting dense theological tomes! 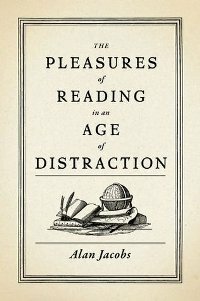 ), Jacobs makes a persuasive case that reading for pleasure should remain a live option in any discipline. There might also be room in this account for further considering the distorting effects that sin can unleash upon our readerly whims and desires (i.e., What should we do if the "joy" of reading that Whim brings us turns out to be Turkish delight?). The book as a whole makes many compelling points and refreshingly celebrates the God-given gift of reading in an age where texts are ubiquitous but often neglected. As he warmly reminds us, "The books are waiting" (p. 25). His waits as well. He has given us a rumination on reading that is instructive while also itself a pleasure to read. So, violating Jacobs's own embargo on mandating books for someone else to read, tolle lege . . . but only if you want to.